I’m sharing an original graphic here on Thursdays here, designed to make you think. As children of God, we are not called to be perfect but we are called to be more. I want to highlight some aspects of our flesh that need to be simply turned over to the Holy Ghost, our Counselor for change. I hope you enjoy them and the meditate on the scripture prayer that speaks to my heart and helps me to focus on becoming more righteous as I exchange my weakness for His strength. Help me to control my voice, my tone and my words. Allow me to pause and remember that with each word I say, and HOW I say it am representing YOU. In my moments of frustration or anger, allow me to pause and consider how my words have power to harm or heal, break or restore, damage or repair, discourage or uplift. May I recognize my influence as your child, harboring your Spirit in me, over the unchurched, undiscipled and lost. May my words, even in times of assault, be seasoned with holy salt. 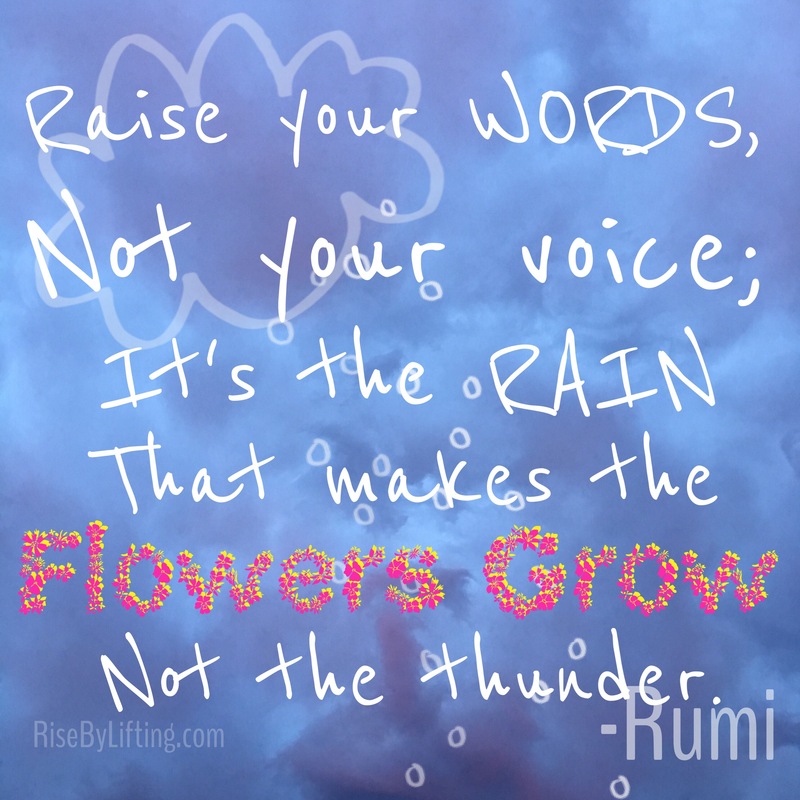 Allow my words to be like rain that grows the flowers and not like thunder that stirs up anxiousness. May His Peace, Love and Joy SHINE through you!